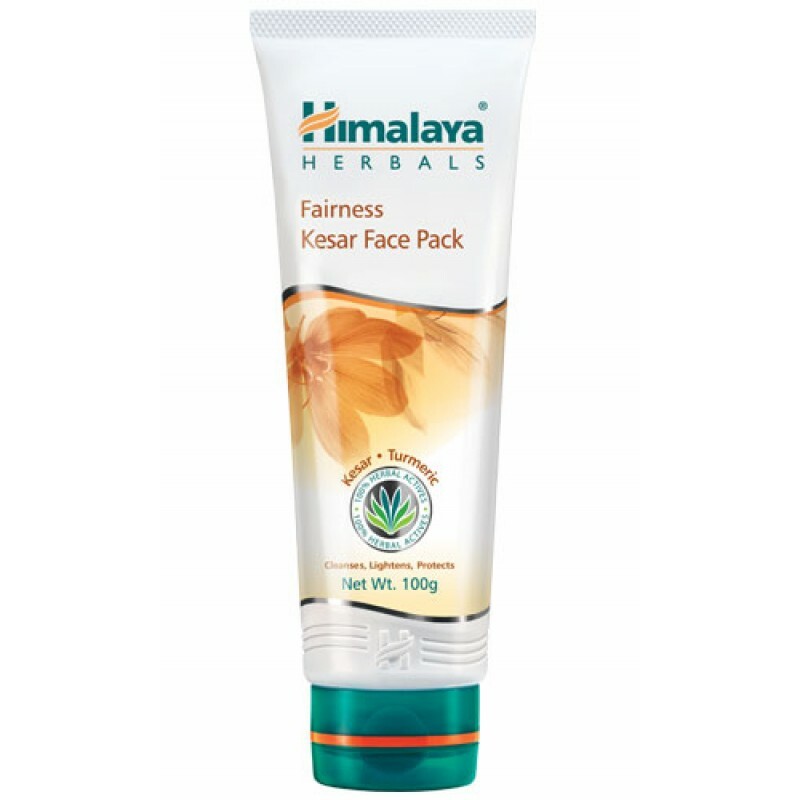 Himalaya's Fairness Kesar Face Pack is a unique natural formulation that evens out skin tone for a fairer you! Turmeric, Walnut, Indian Aloe and Kesar rejuvenate and cleanse your skin of impurities, to reveal a natural glow. Walnut and Indian Aloe heal the skin and remove blackheads. Turmeric and Kesar enhance your skin's complexion and elasticity. CINNABLOC™, our patented, herbal sunscreen agent, protects your skin from the sun's harmful UV rays. Turmeric has strong anti-inflammatory properties, which soothe your skin gently. The herb helps to even out your skin tone and complexion. It also helps to retain the skin's elasticity and makes it supple. Walnut has slightly acidic properties. It is particularly effective in treating acne and in soothing sunburned skin and eczema. Walnut helps in skin cell regeneration and in toning the skin because of its astringent properties. Indian Aloe acts as an antibacterial and an astringent, which accelerates the healing of injured skin. Indian Aloe also softens and hydrates skin. Kesar lightens skin, clears spots, enhances the complexion and gives skin an even tone. Apply Fairness Kesar Face Pack evenly over cleansed face and neck, avoiding the area around the eyes and mouth. Let the pack dry for 10-15 minutes, and remove with a wet sponge or towel. Rinse with cool water. For best results, use twice a week.